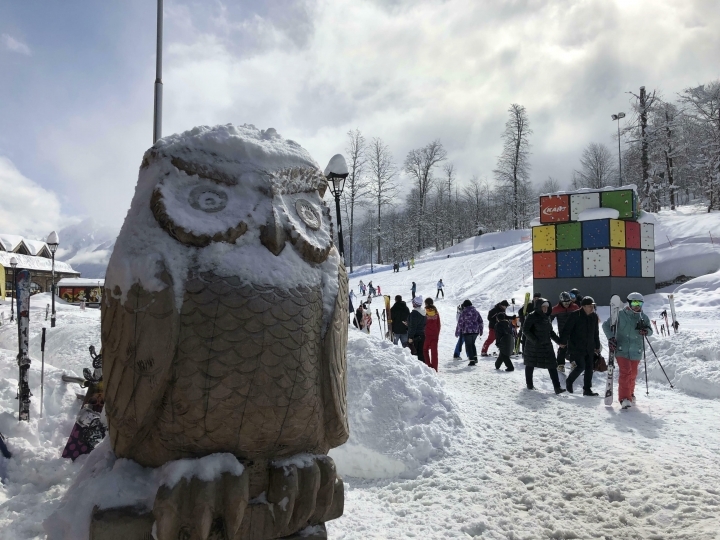 KRASNAYA POLYANA, Russia — In the five years since the Sochi Olympics, Russians have been flocking south to enjoy their subtropical ski slopes. The mountains above the Black Sea resort city are full of weekend skiers, with nearly a million visitors making the trip each winter. That's quite a change for a country used to thinking of skiing in terms of grueling cross-country marathons, not exhilarating Alpine speed. 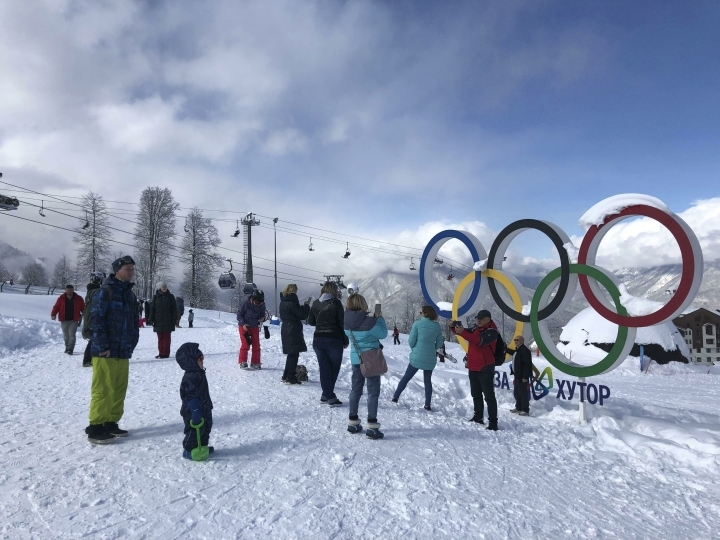 "People who aren't interested in Alpine skiing come to see (the Olympic sites) and tick it off their list, then they see it and put some skis on," Anastasia Popkova, the coach of the Russian women's ski team, told The Associated Press. Popkova learned to ski in the hills around the coal-mining Siberian city of Mezhdurechensk, a rare enclave of Alpine skiing in Russia. Growing up in the 1990s, there was plenty of passion for the sport, but none of the luxury of Sochi's Rosa Khutor resort, last week's home of Russia's first World Cup event since 2012. Even before bad weather forced the races to be abandoned, the World Cup was near-invisible in Russian newspapers and the dozen state sports channels on TV. Any airtime not taken up with soccer or the cross-country skiing world championships — where Russia is a major power — was swallowed up by the University Games in Siberia. Built as part of Russia's $50 billion sports and infrastructure spend around the 2014 Olympics, Rosa Khutor is a boom town. The resort's deputy CEO, Alexander Belokobylsky, has worked at Rosa Khutor since 2005, when the Sochi Olympics were still a dream. He claims 920,000 people visited last winter, with growth of 5 to 10 percent expected this season. All but 3 percent were Russians. 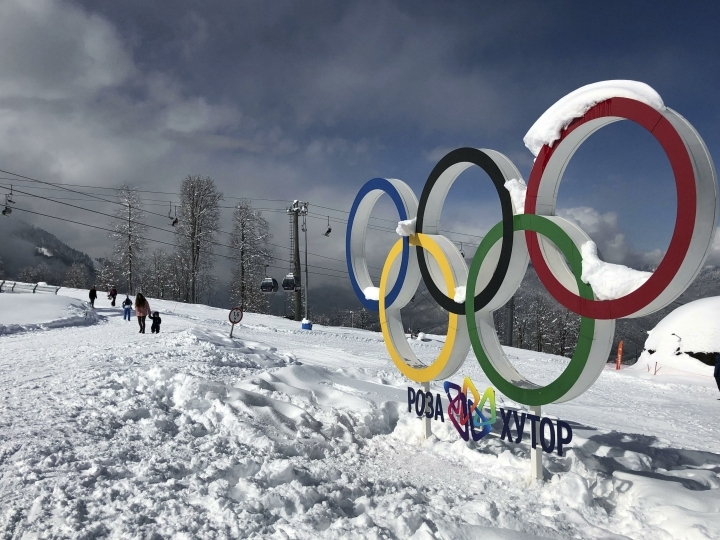 Typical Sochi skiers are "government officials, businessmen, employees of big companies," often from faraway Moscow, said Maia Lomidze, head of Russia's Association of Tour Operators. She warned, though, that Sochi could face hard times if the upper middle class gets bored of its new hobby. "The demand will stay just as high as it is now, at least for the next two, three years," Lomidze said. "After that, they'll need to get creative, to shake things up because people could get sick of it and want something new." It's far from clear if Sochi's resorts would have made economic sense to build without government support for the Olympics, though Belokobylsky said the resort makes an operating profit. In the past, Sochi was known almost exclusively as a summer destination. With its subtropical climate and long beaches on the Black Sea, many Russians spent their vacations swimming in the sun. An hour away in the Caucasus mountains, Rosa Khutor has a strong family focus, with children making up many of those enjoying the thick powder last week on the slopes. Heavy snowfall meant it was impossible to create the icy, hard surface needed for downhill and super-G racing, but left good conditions for novices. Rosa Khutor management is staking its future on those children bringing their own families in a few decades. However, Russia's ski tourism boom doesn't translate to a love of racing. "Alpine skiing isn't our national sport, definitely not," Belokobylsky said. "We've got hockey, that's ours, but not Alpine skiing just yet. However, a lot of our athletes in snowboard and freestyle are getting into the elite. If you don't have good results from the (professional) athletes, then there's not huge interest in that event around the country." Even before the World Cup races were canceled, many of the weekend skiers had no idea they were even planned. About 50 people gathered to watch a ceremony to promote the event Saturday evening, but the crowd thinned out after some song-and-dance numbers, before 10 of the world's top female skiers — none of them Russian — took to the stage for the draw. Russia's enthusiasm for ski holidays doesn't yet mean a new generation of would-be pro racers. For one thing, most of Sochi's skiers live far away from any mountains in flat central and western Russia, though the resort offers programs for talented local kids. Russia's colossal state sports system funds the national team, but if it isn't winning medals, it isn't a priority. "The state supports sport and that's great, but they need to understand that when a team's going to the Olympics ... that this sport will bring back a medal," said Popkova, the national team coach. "We can't tell them we're targeting world championship medals with 100 percent certainty." In a country where Mikaela Shiffrin, Bode Miller and Lindsey Vonn are obscure figures rarely seen on TV, hosting a World Cup event is a way to remind the Alpine ski world that Russia's still there. "It's about being part of a big family," Popkova said. "We have the resources and we can use Olympic facilities, and we have to use them. If we don't do that then it's not clear how we hosted the Olympics with these great conditions and we're not doing anything with them. Maybe we're not interested, that's what people could think."